Patriot Party Boats, Inc. is a family-owned and operated business started over 40 years ago. Our greatest joy is to share the beauty and grandeur of the waters surrounding Cape Cod.Experience Patriot's freight service, and water taxi service to Martha's Vineyard. Now that you have a choice, why not choose green? The Green Shuttle Company of Cape Cod isthe first all-green private car service combining the use of environmentally responsible cars and advanced 4G in vehicle Wi-Fi capability. There are a variety of Cape Cod transportation options available to explore the Cape and Islands during your family vacation. 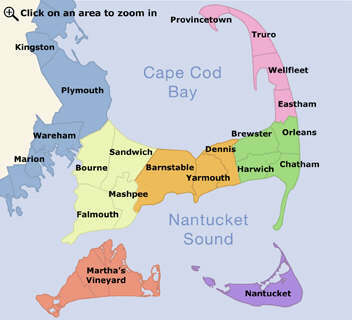 The most popular and scenic option is the ferry to and from Martha’s Vineyard and Nantucket. Enjoy picturesque views of the sea-swept Massachusetts coastline and feel the crisp saltwater air. Local ferry companies make this trip often, some even hourly, so you can easily find a time that is convenient for your family. Some of the ferry providers transport cars, while all of them provide daily passenger service for people, bicycles, and pets. Whether you are staying on Nantucket or Martha’s Vineyard, this makes a lovely day trip that the entire family can enjoy. Go back in time and discover the historic wonders of Nantucket with a stroll through the harbor. Be sure to take one of the Cape Cod cruises for a unique way to see the sights and discover the quaint beauty of the Cape and the islands. Car rental services are also available throughout the Cape and Islands. A variety of vehicles are available including cars, SUVs and vans, all at affordable rates. Treat yourself to a convertible and fully enjoy the sunshine and ocean air while exploring all that the Cape Cod region has to offer!